An Angular2 App with Bootstrap4 Navbar and routing using Angular2’s New Router. Navbar menu is fully configurable in TS files. 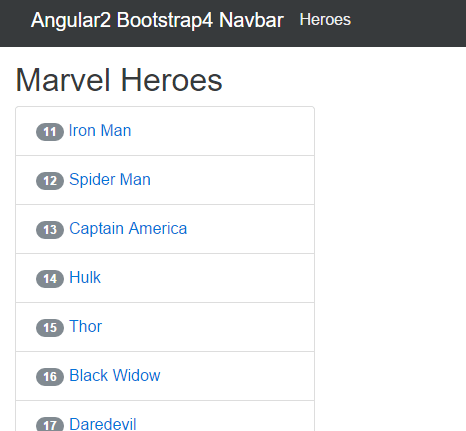 Configuration is shared between Angular and Bootstrap Navbar.